Portable Hard drives are great for extending the storage capacity of your computer and also for backing up your important data & files. Earlier I have written a article on how to find a good and reliable portable hard disk which can you find by going through this link. Here I will be reviewing WD Elements 1 TB (WDBUZG0010BBK) hard disk. It is the one of those hard disks that may lacks on features but is fast, reliable and has top performance. Here is the complete review of WD Elements 1 TB (WDBUZG0010BBK) External hard disk. 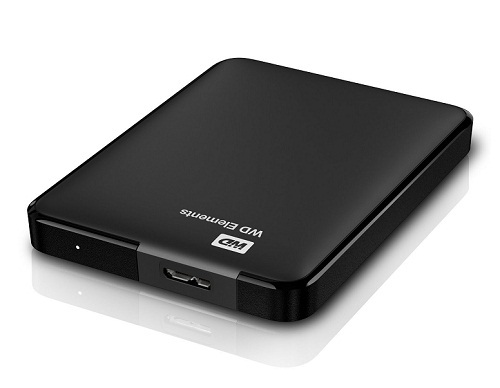 The size of WD Elements 1 TB is very small and also it is very sleek unlike the other portable hard drives. It is also light in weight but it does not compromise on build quality. It is solidly built but is not shock and tamper proof. You may damage it if you drop it from a fair height or distance. The performance of this external hard drive is great and it is very fast both in reading and writing speeds. It is a USB 3.0 hard disk and I have personally experienced data transfer rates up to 70 MB/s on some occasions because it also depends on the size of data and your computer. There is small white LED on the front of the hard drive that blinks when data transfer activity is going on. 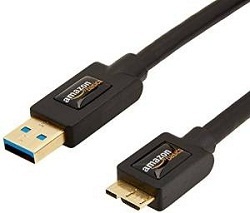 The USB 3.0 cable that comes with hard disk is very short so you have to purchase another USB 3.0 cable for it. The drive comes pre-formatted with NTFS partition and it supports Window XP/7/8/10 operating system. This portable hard disk is plug and play in operation and does not need any external power source for its working. The drive comes with free trial version of WD SmartWare Pro auto and cloud backup software but I deleted it as I don’t needed it. If you want this drive to work with Mac then you can also reformat it for Mac OS X. The portable hard disk is also backward compatible with USB 2.0 so you don’t have to worry if your PC or Laptop does not have USB 3.0 ports. The only downside is that you will get reduced data transfer rates when operating with USB 2.0 port. There are no security, backup, encryption features etc. comes with this drive. This drive just offers your huge amount of space (1TB) for storing your data and nothing else. Also the performance of this drive is greater than the drives which come loaded with extra features. So if you don’t care about the extra features and just want huge storage with blazing performance then this is the drive you should go for. WD Elements 1 TB hard disk is moderately priced and is very much affordable. This portable hard drive comes with 3 years onsite warranty. You can also check the warranty information on the Western Digital website by entering your hard drive serial number. At last I would like to say that if you want a portable hard disk with raw performance and huge storage capacity then you must definitely go for this. You can also buy WD Elements 1 TB USB 3.0 portable hard drive at great discount from the link given below.